A Restaurant Point of Sale system is typically where a customer makes a payment in exchange for goods or services. It is a combination of hardware and software that creates a complete transaction process. The system can be composed of many components such as a register screen, credit card reader, receipt printer, and software. How Does a Restaurant Point of Sale System Work? Typically the waiter takes a customer’s order and enters it on a touchscreen and the kitchen is notified of the order and its details. The order is prepared and delivered to the customer. The customer pays for the order with a credit card and receives a receipt. What are the Benefits of a Good Restaurant Point of Sale System? Ease of use: Today, everything is digital, and everything is touchscreen. Navigating a touchscreen has become second nature to practically everyone. With an intuitive interface, restaurant Point of Sale system software is simple for employees to learn, which will result in shortening training time and help them to be more productive overall. The US economy is booming again which is good news overall. The restaurant industry, however, has problems recruiting and keeping its staff. For the second year in a row, restaurant turnover has hovered around 70%. Since a lot of restaurant work is done by students, the turnover is highest from July to September as the students return to school. If ease of use is made a priority, the staff is able to interact more fully with customers while taking orders and accepting payments. Speed and volume: Favorite restaurants are always busy! As the business grows, a good Point of Sale system can scale to meet the increased demand. A system that can keep up will yield benefits in increased sales. Flexibility: In the fast-paced food industry, a flexible Point of Sale system can keep up with changes to the order made by customers. Or to comply with a customer’s wish to split a check. Being flexible is a benefit not only to the customer’s wishes but to the wait staff who is responsible for making the changes. Expanded payment capability: Another way a restaurant Point of Sale system can be flexible and beneficial is in the manner it accepts payments. According to a study by Javelin Strategy and Research, only 23% of all purchases are made using cash. So the more methods of payments that are accepted, the happier the customer will be. These methods include EMV chip cards, contactless payments (NFC), and mobile wallet payments such as Apple Pay, Android Pay, and Samsung Pay. By enabling customers to use different payment types, you can increase revenue as well as customer satisfaction. In fact, a recent survey found that 44 percent of respondents prefer to pay using debit cards and 33 percent favor using credit cards as their preferred payment method. That means cash is slowly losing its reign as top dog. Greater accuracy: A restaurant Point of Sale system that has an easy-to-use, touchscreen interface puts all the information your wait staff and cashiers need at their fingertips. It eliminates manually keying in items and prices that you normally would with a cash register. Point of Sale system technology improves accuracy throughout your entire operation, with real-time data. It eliminates the need to upload or enter data into back-office systems which minimizes the risk of human error. Seamless workflow: Of course each restaurant is different with different workflows. A good restaurant Point of Sale system will complement the processes and personnel roles of the business. For example, hot and cold components of the same order should go to their proper preparation areas and still get done at the same time so that the customer does not have to wait. Reporting and analysis: Restaurant Point of Sale systems have reporting features that allow you to keep a close eye on sales, profits, and expenses like Cost of Goods Sold (COGS). Point of Sale system reports give you data in real-time, and are formatted with easy-to-read information. With cloud Point of Sale system reporting, you can access reports even when you are at home or traveling. No matter where you are, you’ll always have the information you need to make data-driven business decisions. Your Point of Sale system will allow you to monitor Key Performance Indicators (KPIs). These include average customer sales, stock turnover, and sell-through rate. This visibility into your business performance will help you identify prosperous areas of your business and others that may need improvement. Either way, this insight will assist you in making the necessary adjustments to help you maintain profitability and competitiveness. Inventory control: One very important aspect of running a restaurant is the ability to effectively manage your inventory. A good Point of Sale system will help simplify workflows and tasks needing to be performed by management. It can take forecasts generated by reports and help plan the ordering of inventory. In a real-time environment, the system can provide awareness of potential issues with the levels of stock. Labor management: Modern restaurant Point of Sale systems include time clock functionality, so your employees can clock in and out on a POS terminal. Point of Sale system advantages enables you with access control measures to make sure employee identity is verified for clock-ins and access to your system. This is especially useful for functions including voids and returns to minimize shrinkage from employee theft. Accurately managing staff schedules greatly enhances the customer’s experience at your business. Loyalty programs: For first-time customers, a good restaurant Point of Sale system can help create promotions to provide the right offers to the right customers. It can provide tools that guests can use that highlight rewards activity and achievement. In order to generate repeat business, a good restaurant Point of Sale system will collect invaluable customer information that can be used for successful marketing for loyalty programs. Loss prevention: A good restaurant Point of Sale system can rapidly identify and notify of possible fraud activity. By being able to analyze information on a granular level, it can recognize trends by location, server, or transactions as they unfold. In addition, it can reduce shrinkage and thereby add to your profit margin. Simpler accounting: A good restaurant Point of Sale system helps streamline the accounting process which will gain applause from your head accountant. With old-fashioned cash registers accountants are forced to sort through hundreds of receipts, but with a restaurant Point of Sale system, you can, in many cases, import data directly with your accounting software. 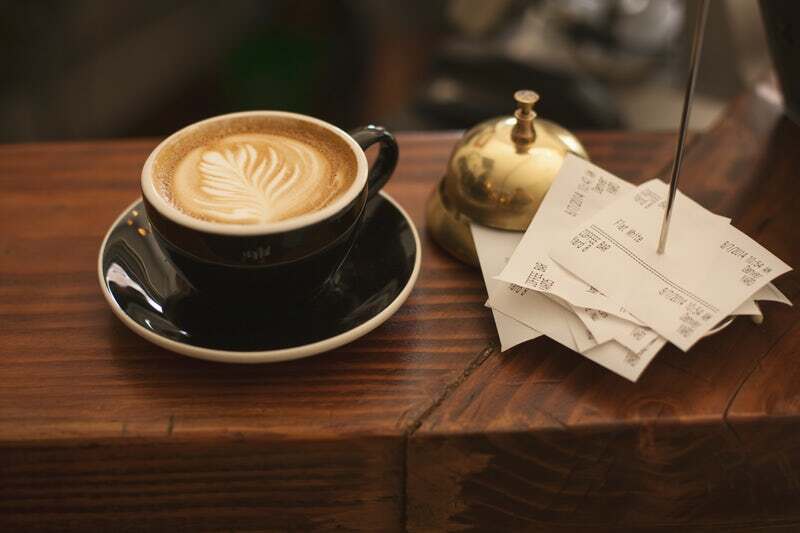 Detailed receipts: Point of Sale systems give your customers much more with detailed receipts than just a slip of paper with the date and the amount of the sale they can use for expensing the meal. A Restaurant Point of Sale system uses inventory data that can provide information such as item description, price, and savings from a sale or coupon. You may even have the ability to customize the receipt. In this way, you can add coupons directly on the receipt, provide information on your loyalty rewards program, highlight your return policy, print a link to a survey about the customer’s experience, or promote your social media channels to name but a few. As you can see, there are many benefits to investing in a good restaurant Point of Sale system. It can benefit your customers with a great experience and benefit you and your business as a result.